My Projetex system is slow and hangs frequently, although my server is more than powerful enough. Sometimes, the two main services that run the Projetex server may require restarting. In the System Administrator, please go into "Database >> Autorestart Service". Enable all options and set the restart time to when users are least expected to actively use the program. 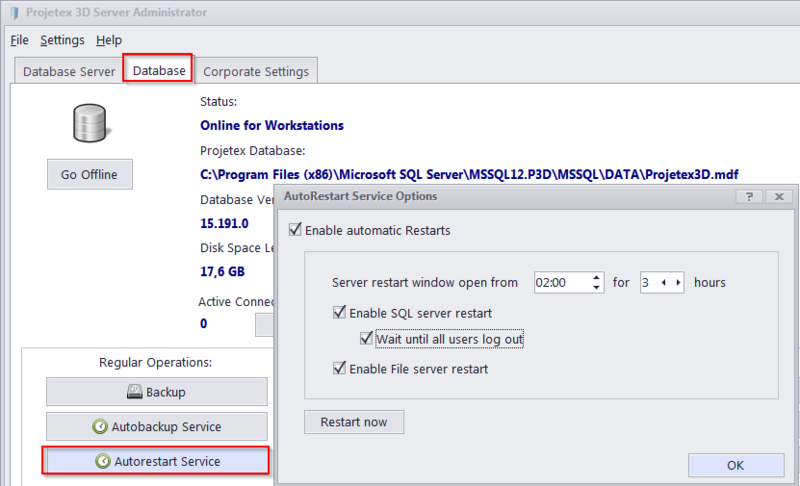 You can also click "Restart now" to restart the SQL and File server immediately. Scheduling a weekly reboot of the entire server machine is also useful.